Football season is here and the Minnesota Vikings are 2-0! While Vikings fans are very happy now, it was only 23 days ago that Teddy Bridgewater, our starting quarterback, went down with a gruesome injury during practice. The team was so devastated that Coach Mike Zimmer actually cancelled practice and told everyone to go home. The devastation was palpable; a once promising season was lost before it began. 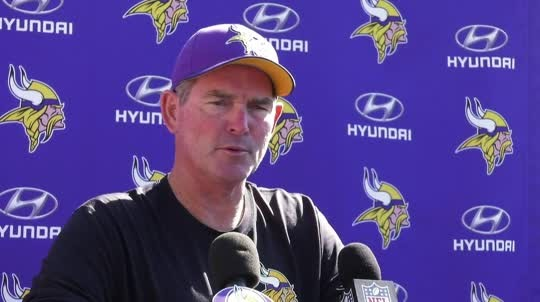 Zimmer held a press conference that day and said his team would not lay down and feel sorry for themselves, they will continue to fight. He also mentioned his own life experiences with setbacks and personal loss: "Hey, my wife passed away seven years ago, right? It was a tough day, the sun came up the next day, the world kept spinning. People kept going to work. That's what we're going to do.| That is what the team did and it is how they have started the season so well. What does any of this have to do with DWI defense? Simply put, the defense bar had a similar situation after the United States Supreme Court partially ruled against our position in the Bernard/Birchfield decision. This was the most promising challenge to Minnesota's DWI laws that had been formulated in quite some time. And it made it all the way to the United States Supreme Court. We were excited about the prospect of the highest court in the land telling Minnesota it could not criminally charge a driver for refusing an unwarranted test (essentially simply exercising their 4th Amendment rights). Unfortunately, SCOTUS did not give us the complete victory we were looking for, especially in breath test cases which make up the vast majority of DWIs in the state. The defense bar was certainly disappointed in this decision and many attorneys were left wondering, what defenses are left. As Zimmer said, the sun still came up the next day and defense attorneys kept going to work. Now, in this post-Bernard/Birchfield world, good DWI defense attorneys have developed new challenges to defend DWIs that have resulted in great results for their clients. Our newest associate, Jay Adkins, is one of these attorneys. Just last week, Jay has had two DWIs reduced to careless driving charges, prevented one client from ever losing his license, and got another DWI dismissed outright. While things did not look good after the Bernard/Birchfield decision, the sun came up the next day and good lawyers went back to the drawing board and kept fighting. This is the type of representation the Ramsay Law Firm prides itself on and commits to each and every one of our clients.